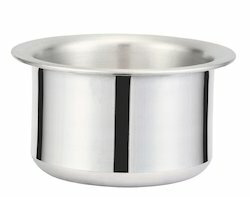 Providing you the best range of encapsulated ss bombay handi, encapsulated ss stew pan, encapsulated ss tadka pan ssh, encapsulated ss tadka pan bh, encapsulated ss jumbo tope and encapsulated ss mini tope with effective & timely delivery. Since our commencement, our firm is engaged to introduce a premium quality array of Bombay Handi. This handi is used for serving Indian food such as mughlai dishes, handi biryani, gosht, and other delicious vegetarian and non-vegetarian dishes. The handi is manufactured using aluminium alloy and modem technology under the direction of our accomplished professionals. As a trustworthy organization of this domain, we are committed to offer our clients a superior quality assortment of Stew Pan. The offered pan can be used for outdoor parties and domestic kitchen purposes. 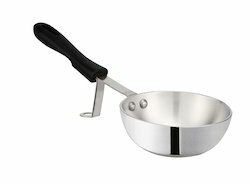 The pan is manufactured using aluminium metal coated with natural finish. Clients can get the pan from us in bulk quantity at reasonable rates. * Made from pure virgin aluminum. *made from pure virgin Aluminum. As an affluent name of this domain, we hold expertise in presenting high quality Mirror Finish Lid. This lid finds wide application use in eateries, hotels, guest houses, parties, and ceremonies for covering various cooking vessels. Also, the lid is manufactured using aluminium metal coated with natural mirror finish. Clients can get the lid from us in bulk quantity at cost effective rates. 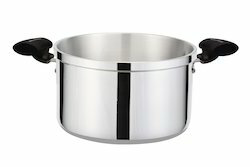 Looking for “Macclite Mirror Finish SS cookware”?